So I've had a couple of real old fiberglass boards hanging around my place for a while and I'm trying to find out a bit more about them and google ain't too helpful in that respect. So I was wondering if anyone here knew anything about them. 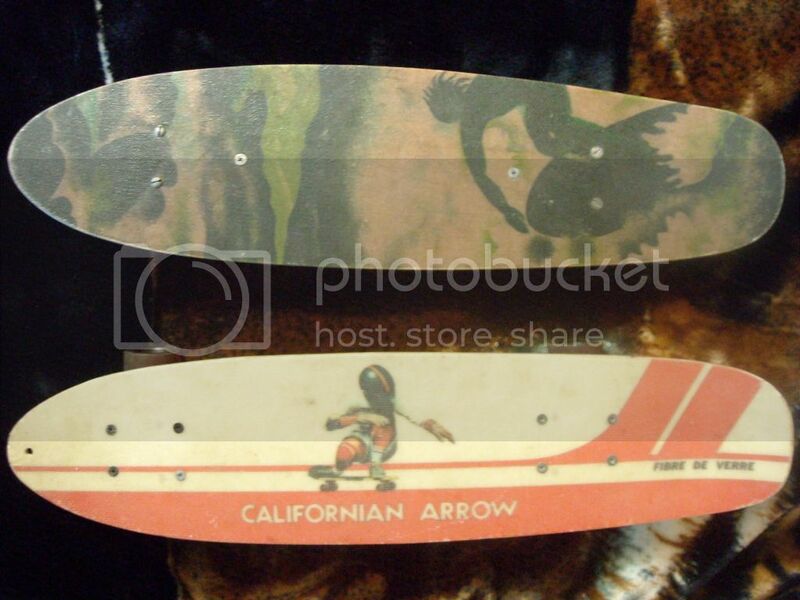 I have a Californian Arrow (from my understanding it was the Big W deck of its day) that has a bit of damage to a base plate and an Ultimate Skateboard which is kinda weird as it only has 3 bolts to mount the trucks and the bearings are part of the wheel assembly (if you take the nuts off the balls fall out). I have acquired these from various people cleaning out their garages and know next to nothing about them so if anyone could give some info on them that would be radical. I used to have the loose bearing in my board as a kid. These boards look in pretty good condition. Check out the tuck on the California Arrow. Rider in gloves too! Time is a trip maaaannn! Bring em both to Mt Stromlo next Saturday. Should be some one there who will know. And you can race one of them in the retro 100 cone challenge! Yeah Matty, nothing is new anymore is it! 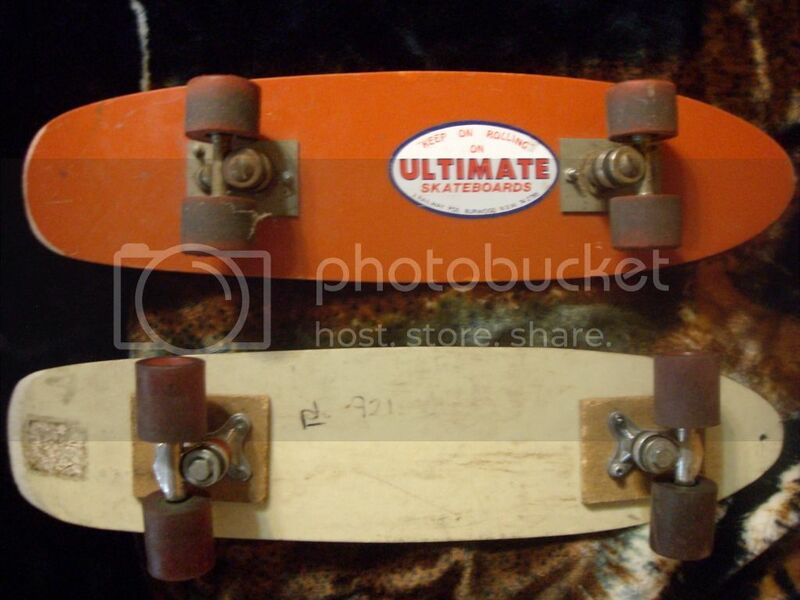 I had loose bearing wheels too, and chalky wheels that allowed massive stand up slides....from 15kph! Yeah, I was planning on bringn' them to the ditch on Sunday to see if anyone has something to say about them. I'd race 'em but the bushings are pretty buggered in both of them. Just did a bit of googling and had a closer inspection and you were bang on the money about the chicago trucks bernie! I might look into polishing them up and making some risers to mount them properly. I had a look and the base plate is a little bent from being mounted flat onto the deck but should be ok with a riser. Well! I am happy enough to seek knowledge about HyperOutdoor skateboard from you because I am passionate about it. Having your HyperOutdoor blog in front of my eyes is quite unbelievable thing for me because you are my inspiration. Anyways thanks a lot James for sharing such great HyperOutdoor information.